Wowza today announced ClearCaster, a $6,495 rack-mountable appliance that can stream to Facebook Live at 1080p using Facebook Live's newly enhanced Live API, which enables auto-configuration and real-time stream health monitoring. The unit comes with three years of support and will ship by the end of September. 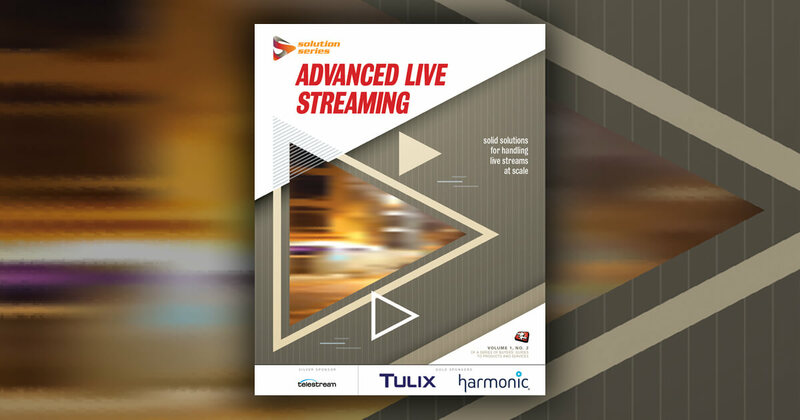 ClearCaster has SDI and HDMI inputs that can support up to 2160p30, so it will remain compatible once Facebook Live extends support for 4K. The unit can encode up to 1080p/60 and 4K/30 in H.264, and is HEVC ready. There’s a single 1GB Ethernet port, and an HDMI out for a talent-view monitor. As you can see from the image, you can control some operations via the LCD panel and push button controls on the front panel, and the unit comes in one color, Wowza orange. 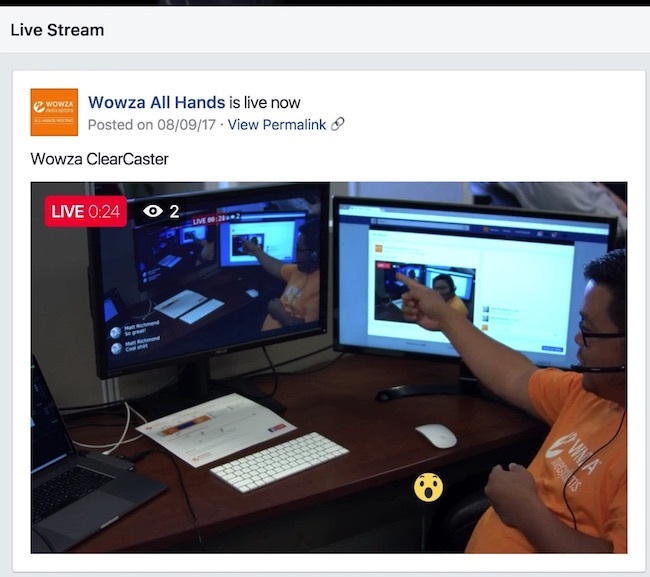 Wowza ClearCaster streams to Facebook Live at 1080p. A video accompanying the release showed operation, which should be simplified by Facebook’s new API. After you plug in all inputs/outputs and power ClearCaster up, the unit will provide a pairing code to type into your Facebook Live account to connect to Facebook, after which you’ll stream as normal. One nice feature is the countdown clock, which will give you a 3, 2, 1 countdown on the talent-view monitor after you start the live stream in Facebook. While broadcasting, the talent-view monitor will show broadcast duration, the number of watchers, and viewer comments and emojis (see figure below on the left). The talent-view monitor on the left shows broadcast duration, the number of viewers, and any comments or emojis. 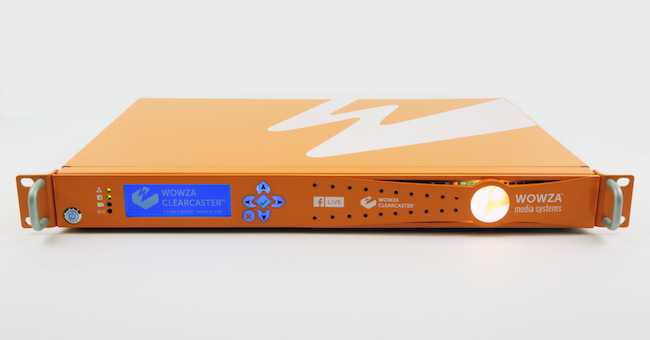 During operation, ClearCaster leverages the new Facebook API to auto-configure encoding to match streaming conditions like bandwidth, and according to Wowza, is the first encoder that can deliver 1080p streams to Facebook Live. Throughout the broadcast, ClearCaster monitors real-time stream health, and automatically adjusts stream settings to ensure uptime and quality. Currently, ClearCaster is dedicated for Facebook Live and can’t connect with other services. 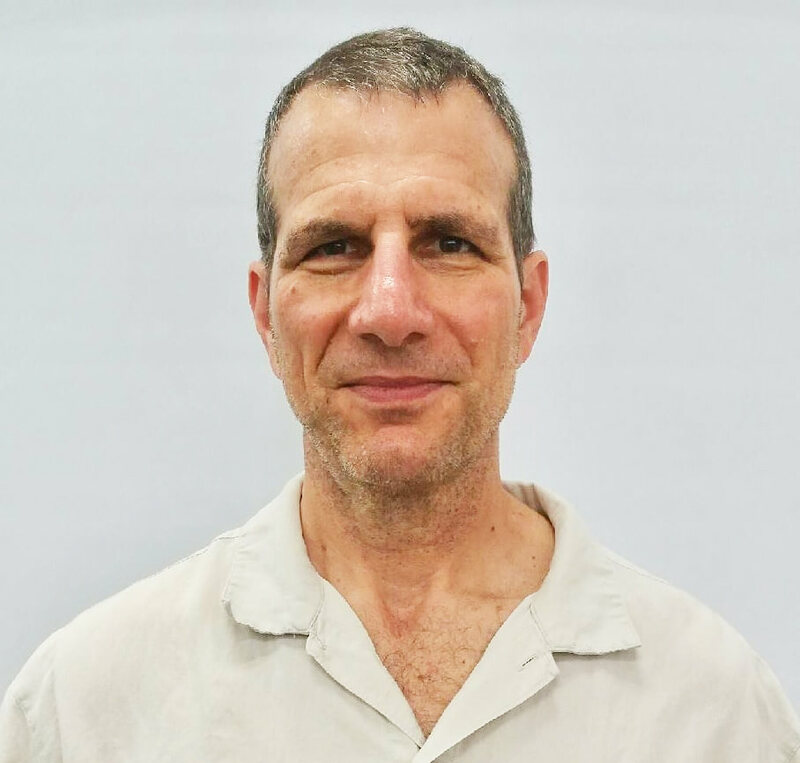 During my discussions with Wowza, it seemed that its strategy was to explore deep API connections with popular services like YouTube and others rather than releasing a general-purpose RTMP encoder, though the company didn’t rule that out. While this is Wowza's first hardware appliance, it’' not their first major capture and streaming application. In addition to its own GoCoder, Wowza also supplied the technology behind Twitter Periscope. Wowza is accepting orders today, with units scheduled to ship by the end of September.